This converted 200-year-old Santorinian captain house boasts 2 outdoor terraces with panoramic volcano and sea views. 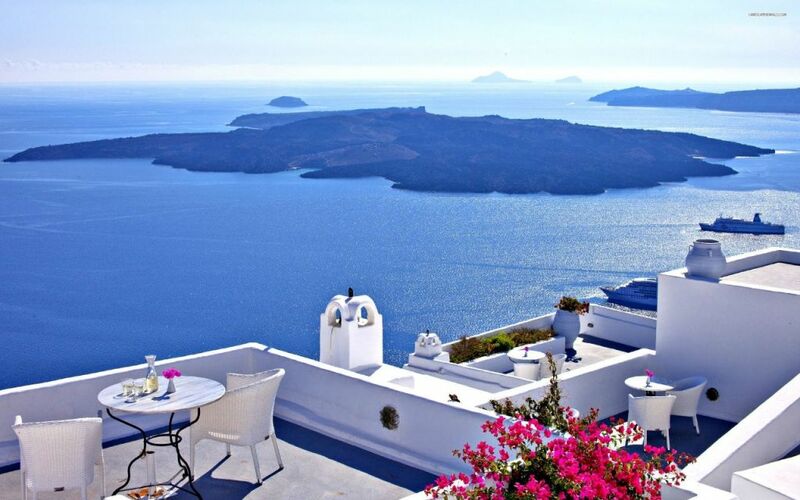 Maryloujohn Villas is located on the central pedestrian street of Oia, 1 km from the beach. With views over the Aegean Sea or the volcano, the air-conditioned rooms come with a kitchenette with fridge and a bathroom with shower. Some units also include a seating area. Wi-Fi is free in public hotel areas. Guests can take a Continental breakfast or enjoy a cup of coffee at one of the villa’s sunny terraces with panoramic caldera views. A restaurant and a mini market can be found right next to the complex. Maryloujohn Villas is 20 km from Monolithos Airport and 22 km from Athinios Port. The picturesque Imerovigli is 10 km away, and busy Fira centre is 12 km away. The bus stops just 20 metres away.